A night light packed with colorful charm. 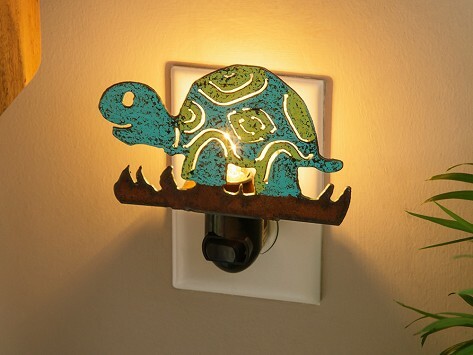 This artist-made animal night light is handcrafted in Texas with salvaged metal that's cut and painted by hand, making each truly one-of-a-kind with its own unique, weathered finish. Pick an animal (or fish) packed with personality to light up your space.